For most of Real Housewives of Atlanta Season 8, Phaedra has been working to embrace her singlehood and single motherhood, but technically, she is still married to Apollo Nida, who is currently serving a prison sentence for fraud. He hasn't appeared or even been mentioned so far, so it was surprising that Phaedra saw Apollo in prison, bringing her children to finally see their dad for the first time since he went away. She's been concerned in the past about her kids seeing Apollo while he's in prison, but after the move, it seems that the facility was a little more child-friendly, and didn't have the "lockdown" atmosphere that she was worried about the kids seeing. 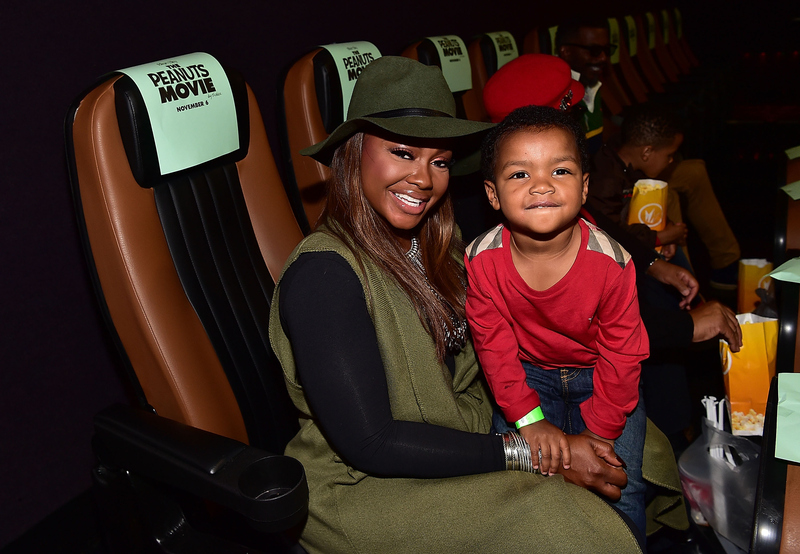 So when her lawyer finally delivered divorce papers, Phaedra decided it was time to make a trip to visit Apollo. Before the trip, Phaedra took time to reconnect with Kandi, catching up her formerly super-close friend on the Jamaica visit she had to skip. They talked about how the boys weren't quite sure how to understand what jail was, and even though Phaedra didn't feel comfortable with opening up about how she was taking the kids to see Apollo, his name was mentioned — and Phaedra did seem confident in her decision to wait before letting Apollo and the kids reconnect. Even though the Bravo cameras were not allowed in the prison, you could see just how emotional Phaedra was getting as they drove there, even though she put on a brave face for her kids. Ayden and Dylan were tired out from the long trip from Atlanta to New Jersey, where Apollo was recently moved (as of the filming of this episode), so the actual visit only took a few hours. But in Phaedra's words, "it was quite the undertaking," and she was unsure of when they would be able to see one another again. And even though Phaedra claims that Apollo refused to sign the divorce papers she brought him, she also says that she "sees [herself] divorced" in the near future, ultimately moving on to another marriage that's more functional. When on Watch What Happens Live recently, Phaedra said that she's still working on getting that divorce finalized. But until then, it seems like the end of the Parks/Nida union continues to drag on — it's now been almost two years since Apollo and Phaedra first had serious troubles on RHOA. I'm hoping for the sake of their kids that somehow these two are able to find some kind of compromise.